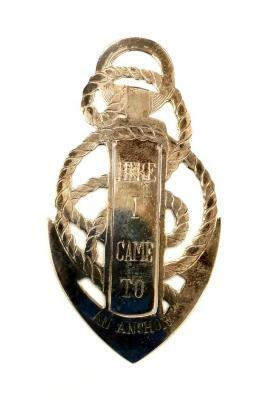 Silver commerative medal in an anchor shape.. Front reads, "Here I came to an anchor" and the back reads, "Sterling. 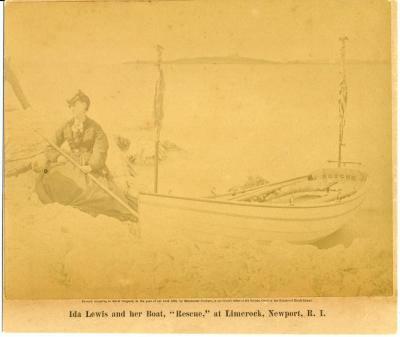 A remembrance to Ida Lewis the saver of many lives. 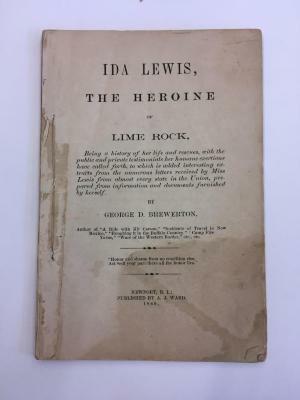 Pamphlet about the life of Ida Lewis, entitled, "Ida Lewis, The Heroine of Lime Rock." 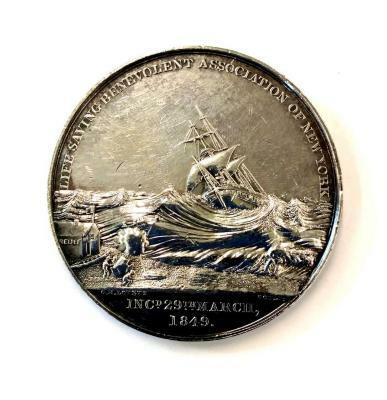 By George D. Brewerton. 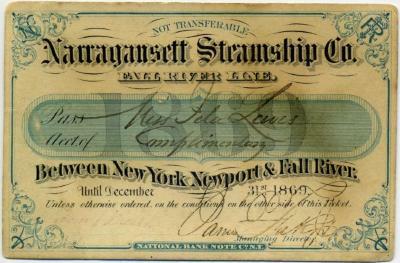 A ticket for steamship passage issued by the Narragansett Steamship Company/Fall River Line to Ida Lewis. 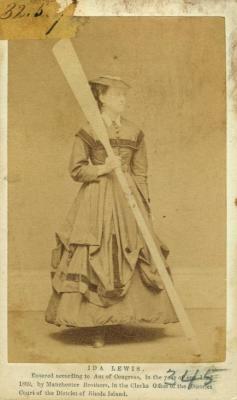 The ticket is designated as "Complimentary," and was valid through December 31, 1869. Two parts of a seal embosser. 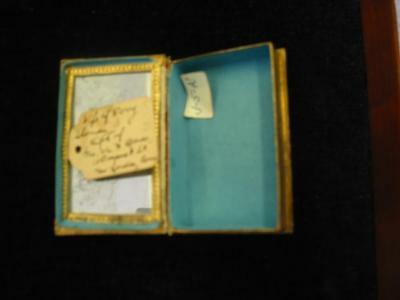 It reads, "Francis Brinley/Newport, RI/Notary Public" Made in Newport. Appears to be 1/2 of a seal embosser. 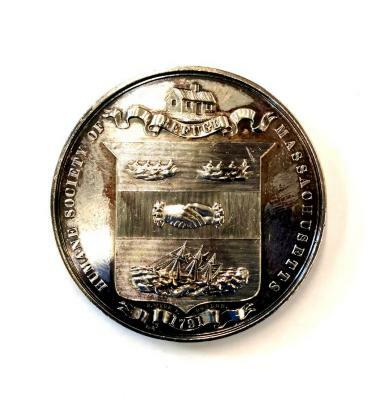 Marked with "Francis Brinley/State Of Rhode Island/A Commissioner of Deeds For The State of Rhode Island, City and County of Newport". Made in Newport. 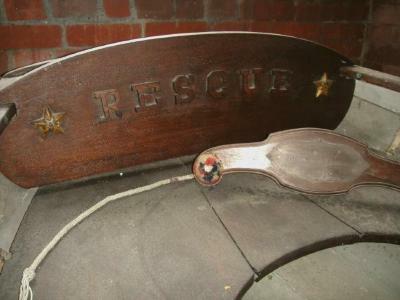 Appears to be the top of a testimonial weight (?). 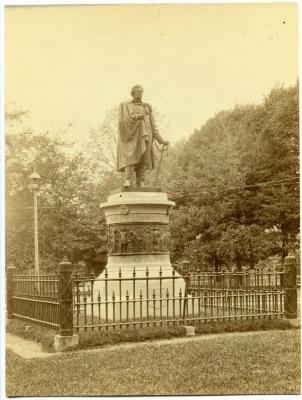 "Francis Brinley/State of Rhode Island/A Commissioner of Deeds For The State of Rhode Island, City and County of Newport". Made in Newport. 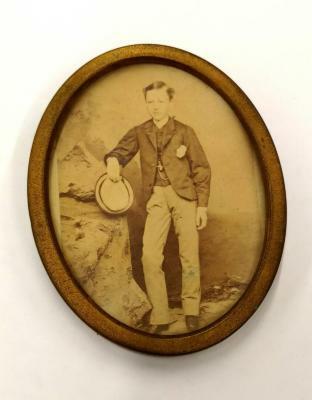 A carte-de-visite depicting a possible member of the Pourtales family (James? 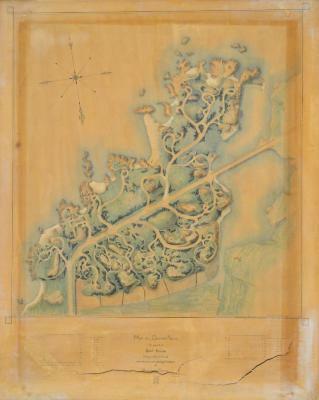 ), 1869. 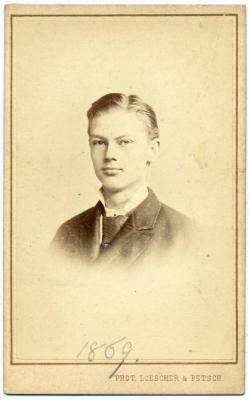 The young man pictured wears a coat with wide lapels, a high collar, and a necktie with a broad knot. 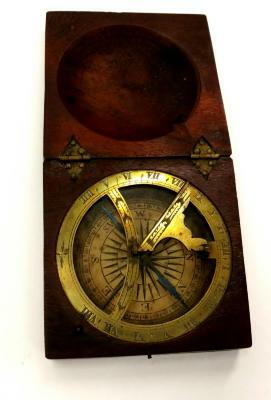 Small sundial and compass in hinged wooden case. 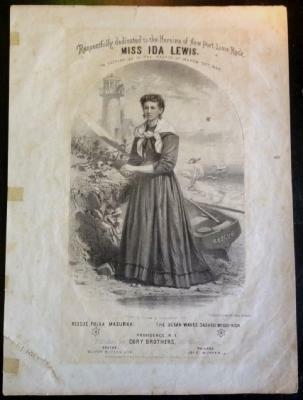 Belonged to Ida Lewis; acquired with other Ida Lewis memorabilia. 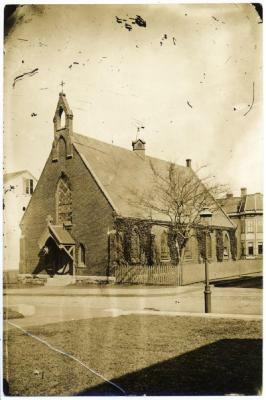 A photograph of Kay Chapel, located on the corner of Church and Mary Streets. Part of the exterior is covered in ivy; a street lamp is visible at foreground. 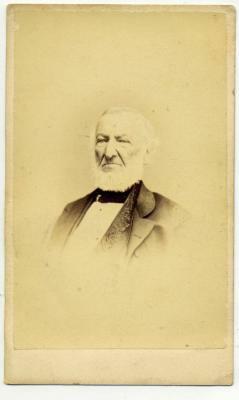 A carte-de-visite depicting Dr. William Gibson, c.1868. 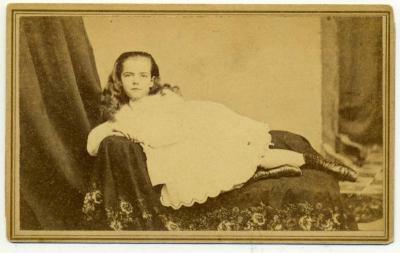 A carte-de-visite depicting Mary LeRoy King, 1868. Print engraving of illustration from Harper's Weekly of the Old Stone Mill. 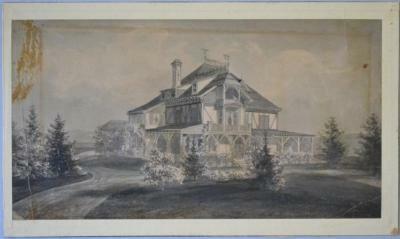 The engraving is taken from a photo by Rockwood of NYC.